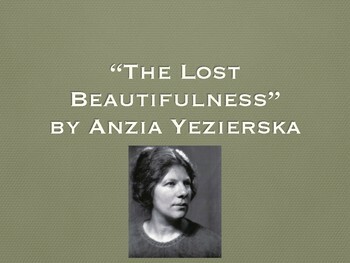 Comprehension and Analysis Questions for "The Lost Beautifulness"
"The Lost Beautifulness," by Anzia Yezierska, was read by high school sophomores during their school's Poverty Education Week. The story challenges widely-held perceptions of those living in poverty, and asserts the importance of upholding the dignity of the impoverished. 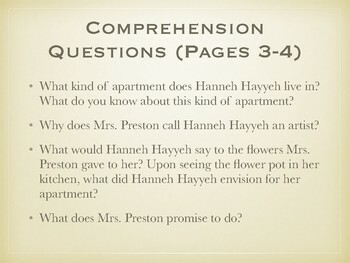 The page numbers are based on the PDF version of the story provided by the National Humanities Center. 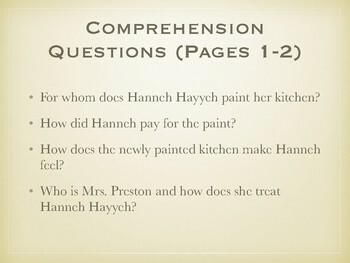 The questions are scaffolded, moving from comprehension to analysis. 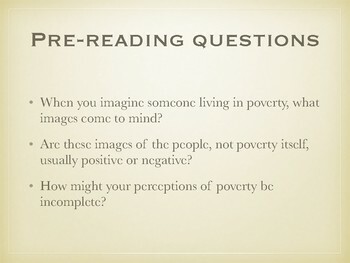 All questions help students focus on the elements of the story that challenge fixed notions of poverty. I spent three days on this short story because the students read the story and answered the comprehension questions as a class. If I had assigned the story for homework, the lesson would've lasted about 1.5 days.